Is your team delivering what you need? Does life at work ever feel like swimming in treacle? Has your goal ever been simply surviving the week? How training fleas reveals a sobering lesson on leadership! Peter reconnects managers with what makes them buzz, bridging the gap from frustration and overwhelm to performance and control by aligning unconnected teams into high performing teams and getting the elephants out of the corner of the room and onto the table! 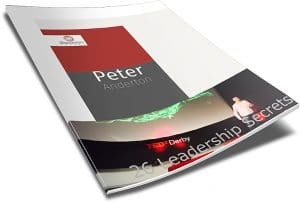 Founder of Internal Alignment and co-author of the soon to be published “The Art of Being a Brilliant Leader”, Peter is a passionate and engaging speaker whose aim is to help his clients and their teams become the best version of themselves.